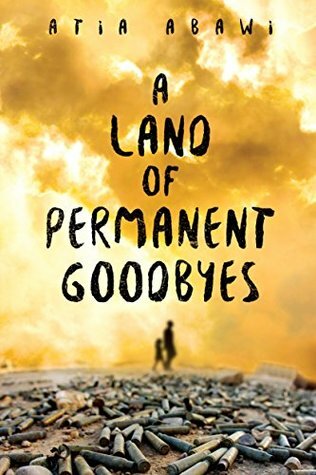 Goodreads Synopsis: In a country ripped apart by war, Tareq lives with his big and loving family . . . until the bombs strike. His city is in ruins. His life is destroyed. And those who have survived are left to figure out their uncertain future. This was a beautiful story about loss and perseverance through that loss. While I don't think that this subject matter should be taken lightly at all I'd like to think that there are some stories that are actually like this one. Tareq's story is sad and probably all too familiar to the world today. His country has been taken over by Daesh fighters, most of his family has been killed, and he, along with his father and sister, are just trying to find a better life. This story gives you an in depth look of what it's like in the lives of refugees who just want something better for their families and themselves. It's sad and raw, with little bits of hope and love sprinkled in also. You can feel the family's commitment to each other and how much they truly care for each other. There are so many other little stories within this one book that it really opens your eyes to things you might not even know exist. This book was educational, as well as entertaining.